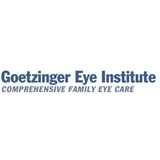 Goetzinger Eye Institute (Riverdale) - Book Appointment Online! Welcome to Goetzinger Eye Institute With two convenient locations in Riverdale and Stockbridge, Georgia, the Goetzinger Eye Institute is the perfect choice for comprehensive eye care for the whole family (5 years old and up). From contact lenses and our full-service optical shop, to laser surgery and glaucoma treatment, the Goetzinger Eye Institute is standing by to serve the needs of you and your family. Please visit our website at: http://www.riverdaleeyes.com and register with My Online Clinic to fill out all paperwork and have access to your chart and other information. The overall visit was good staff was very friendly. But I would like to see the Dr. communicating with and let us know what's going on he spoke to his staff not necessarily us and we were not greeted by him. Dr. Nguyen and her entire staff were friendly and very welcoming, as well as knowledgeable about what I needed. I’ve officially found a new eye doctor!